​It’s difficult to imagine working in the garden when all you can see are four-foot piles of snow. 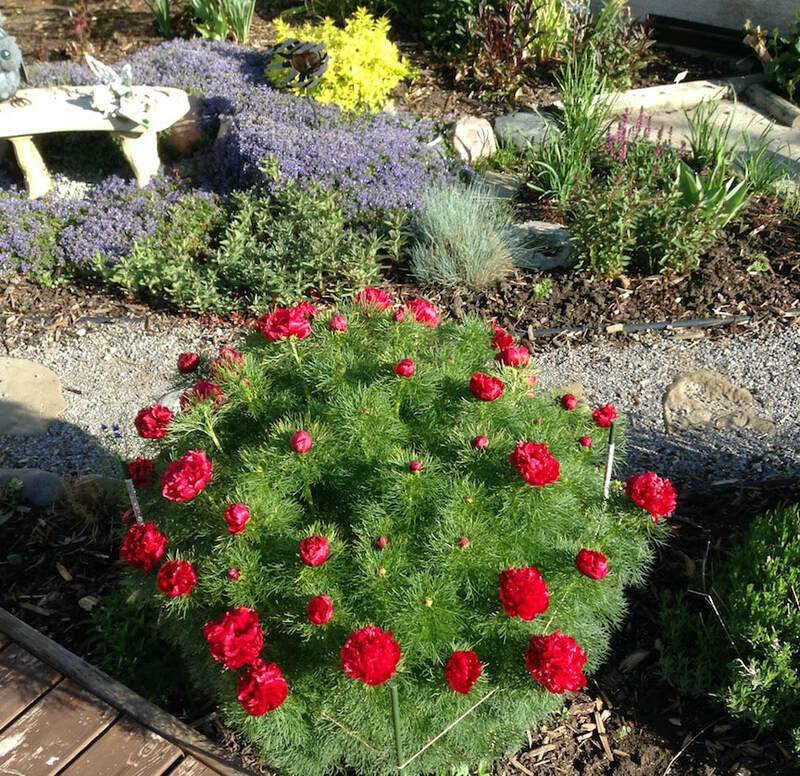 Still, annual events such as Groundhog Day (a simple glance at the calendar) and Lent bring to mind the start of garden clean-up in the near future, new beds and plants for the coming season, and planting seeds indoors to nurture until they can be hardened off and transplanted. When conditions are right, some seeds, such as peas, lettuce, spinach and kale, can even be put in the ground during Lent. The connection between Lent, spring and garden preparation is not a stretch. In fact, the word lent meant spring season for the Anglo-Saxons. Lent in the Catholic tradition relates to spiritual renewal. Spring is also a time of renewal in nature, the re-greening of Earth. Under the snow lie peonies and irises, day lilies and royal candles waiting for removal of the old foliage, left last fall to protect dormant shoots from the cold. A quick look over the snow reveals dwarf Norland and Honeycrisp apple, Evans cherry and Princess Kay plum trees that will need pruning and other attention so they’ll bear fruit mid-to-late summer. Against the south wall of the garage and the east-facing fence, we had detected last year a need for a couple of dropmore scarlet honeysuckle vines to brighten up the yard and attract hummingbirds in August. By early March, sprouts of tomatoes, parsley, basil, and various annual flowers such as gazanias and zinnias among other plants, should be peaking above the flats under grow lights in the basement crawl space. On the west side of the house, another bed started last summer awaits some shape tweaking and a pile of garden mix soil, amended with lots of compost, in preparation for May planting of mainly shade plants such as astilbe, heuchera, bugbane, hosta and pulmonaria. 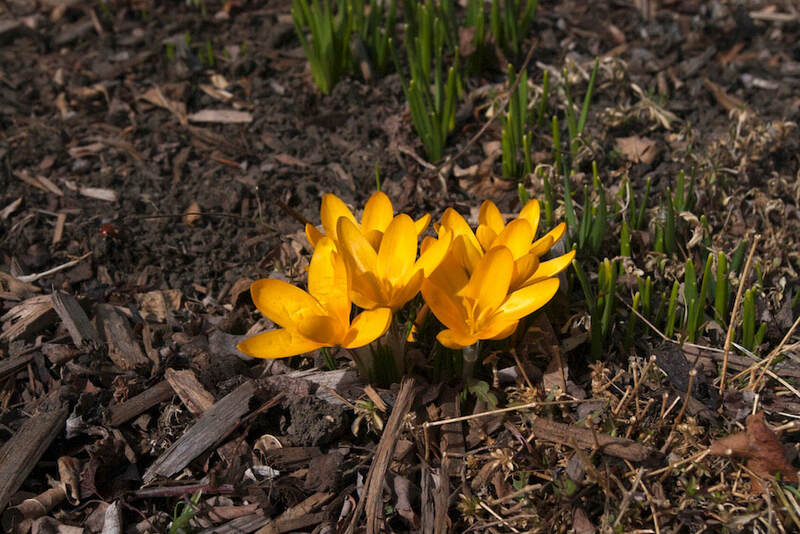 Before Easter, we can expect the first blooms from crocus, hellebore and hepatica and signs of tulips, daffodils and hyacinths poking through the soil, assuming the snow co-operates. You are nearer God’s Heart in a Garden, reads a beverage coaster next to me. As we garden through the spring, summer and autumn, we have constant reminders of God’s wonders. It starts with tending as soon as weather allows, during Lent.